We’ve posted our initial reviews of the HEAD Kore 117 and HEAD Kore 105, so it’s time now to take a look at the third ski in the lineup, the Kore 93. “Any condition, anytime.” Well that certainly puts us squarely into one-ski quiver territory. Question is, is there reason to think that the Kore 93 can really pull it off? For as long as I can remember, HEAD has specialized in making heavy skis (often the heaviest in their class) with a solid race construction. But at less than 1600 grams per ski, the KORE 93 is significantly lighter than most other skis in it’s class (which tend to range from 1800-2100 grams). We are very quick to point out around here that lightweight construction often negatively affects the downhill performance of a ski. So for a company like HEAD that has strong race roots (where downhill performance is the primary goal), creating such a light ski is a dramatic statement, and it begs the question: Is HEAD onto something special with their KORE series in terms of lightweight construction and downhill performance? Or are they just after a piece of the trendy, lightweight pie? As you know by now, the primary story with the Kore lineup is the weight of these skis. HEAD claims that their KORE skis are the highest performing and lightest skis in their respective categories. And as we wrote in our review of the 189 cm Kore 105, that ski may actually be the lightest we’ve ever seen for a ski of its length and width. The first thing to keep in mind: HEAD is positioning the Kore 93 as a high-performance inbounds ski. So in terms of ski shape and purpose, the Nordica Enforcer 93 and Blizzard Bonafide are really the closest comparables here. And take a look at the weight difference. It’s also interesting to note the weight of the Blizzard Zero G 95, which is a dedicated touring ski, and the Salomon MTN Explore 95, which is a dedicated touring ski that has gained some traction as a “50/50” ski. But again, I think it’s important to note that HEAD isn’t thinking of this as a “50/50” ski, and as I wrote in our Blister SIA Awards, HEAD wanted us to put this ski up against the heaviest skis listed here. Swagger indeed. But we’ve gotten good enough results in our reviews of the Kore 105 and 117, we’re genuinely curious to see what this Kore 93 can do. Another thing I’m psyched on is that the Kore 93 has a bit less tip taper than the Kore 105 and 117. I think that’s a good thing, and if you want to geek out a bit about tip shapes in particular, you might want to give this Blister podcast episode a listen. FWIW, the tails of the 93 feel very similar to the 189 cm Kore 105, while the shovels of the Kore 105 actually feel just a touch stiffer than the shovels of the 180 cm KORE 93. Point is, all three skis have a pretty burly flex pattern. So if you know you prefer softer, more buttery flex patterns, these might not be your skis. Also, the Kore 93 (like the Kore 105 and Kore 117) has a very traditional mount point (Kore 93 = -11.15 cm). So while we haven’t tried slamming bindings forward to -4 cm (in the way that we never tried to turn the Nordica Enforcer 93 or Blizzard Bonafide into some jib ski), I think it’s best for most skiers to think of the Kore skis as very lightweight, directional options. This is a combination that we haven’t always found to work well on snow; light & stiff has often produced a pretty jarring ride that lacks suspension and damping. But so far with the Kore 117 and 105, I have to say that we’ve been pretty impressed. Yes, these are light skis, but they have not produced that jarring, tin-like sensation on snow. But with the narrowest Kore 93, we’re moving more and more toward a width that you might use when it hasn’t snowed for several weeks, so really, the Kore 93 seems like it will be the toughest test of HEAD’s construction — can this ski really smooth out variable snow and firm, chunked-up or refrozen nastiness as well as the heaviest skis in the category do? Our intuition says no, but we shall see. But given how well the other Kore skis have performed, we are ready to believe that the 93 is going to be a blast on clean groomers and softer, fairly-forgiving off-piste snow. What about the Kore 93 as a “50/50” or dedicated touring ski? Well, it’s certainly in an extremely competitive weight range, so we’ll be weighing in on how these skis would perform with touring bindings. And we’ll predict that in terms of strength to weight, this ski is going to be impressive. It’s also worth noting, perhaps, that this is not a wildly-rockered-out 93 mm ski that has clearly been optimized to plane up in deeper snow. The 180 cm Blizzard Bonafide has a deeper tip rocker line, and skis like the Liberty Origin 96 have way more tip and tail rocker to aid flotation. But having said that, the combination of the Kore 93’s low weight and very traditional mount point may go a long way toward helping it to plane in deeper snow. The biggest question mark for us, really, is that the 180 cm Kore 93 has a pretty tight sidecut radius of 16.4 meters, which doesn’t sound ideal for dealing with punchy, grabby, backcountry snow. But stated sidecut numbers rarely tell the whole story, so we’re just going to have to get this ski on snow. Still, the idea of touring on this ski up to a big, wide-open bowl of soft spring corn, or to billygoat down a steep, consequential, wind-scoured couloir … it’s easy to imagine this ski shining in either scenario. Been waiting anxiously for this review, especially comparisons to the enforcer 93. Great review. Damn you. Now I’m second guessing my desire for a pair of Monster 88s! Thoughts on length for this ski? I’m 5’10” at 200lbs with a back ground in bumps and slalom (odd combo right) I’m looking at this in the 180 length. Run that or size up to the 189? That’s really not enough information to make a proper suggestion. Knowing your ski preference history would definitely get us started in the right direction. What ski would this be replacing for you in your quiver – what size and name of skis have you enjoyed skiing in the past? this would be replacing a head collective 105, 180 that i felt skied too short. I’ve also had in the past Volkl mantras in a 177 (first year of tip rocker) and I thought the length was good on those. Based on your experience with the Head Collective 105, I’d recommend sizing up to 189. Just ordered your buying guide for this year, did you guys end up testing the ski in any different mounting point other than recommended? Recommended line sure seems VERY far back to me, even for a modern directional ski. My blizzard bushwackers/Brahma’s and wife’s black pearls always seemed like factory recommended needed to be moved ahead. The Head seems similar, lot of tip and not much tail. Thoughts? No, I did not try the ski at any other mounting points. And yes, the Head Kore 93 is about -11 which is similar to many Blizzard freeride skis, such as the Brahmas. Mount points are a somewhat personal choice. Manufacturers change the location of the center of the sidecut to give the design a certain amount of tip and tail length. For example, freeride-oriented skis often have noticeably more tip length than tail length, so the center of the sidecut will be placed further back. And, freestyle-oriented skis often have a more equal tip and tail length, so the center of the sidecut will be placed closer to the center of the ski. The recommended mount point is then generally chosen so that, for a given boot size, the ball-of-foot will be within 1-2cm of the center of the sidecut (it can vary based on the ski’s designed stance and style of skiing). Generally speaking, your ball of foot should be close to the center of the sidecut, regardless, for a ski to turn properly. Deviating from this recommended mount point by 1-2cm is GENERALLY ok. Deviating further beyond that point can make the ski feel a bit odd when initiating and finishing a turn (I’ve been on skis before where I could easily tell the mount point was off). However, when it comes to freestyle skiers, some choose to throw that advice into the wind, and mount more forward than that, hoping to gain a better balance in the air or when spinning. Again, it’s still a personal choice and the stance and style that you want to adopt on the ski. For me, I typically like mounting my skis so that my ball of foot is about 1cm behind the center of the sidecut (I tend to have a moderately forward stance). Sorry I can’t be of more help, but the ideal mount point really does depend on the skier to an extent – kind of like boots. To be clear, for my own personal skis (that I’m not testing), I’ll generally ignore the manufacturer’s recommended point, determine the center of the sidecut, and then mount the ski so that my ball-of-foot is about 1cm behind it. To determine the center of the sidecut, I’ll take a strip of paper, wrap it around the edges, and slide it down the ski while pulling the ends of the strip towards each other. When the paper stops sliding, I’ve found the center of the sidecut, or the ‘choke’ point (moving the paper forward or backward would require slacking off the tension on the ends of the strip). Yes. The Interceptors are not rockered at all, so if you feel comfortable on them and don’t want any less or more effective running length (sidecut), then the 180 size would be appropriate. Great review. From other reviews I’ve read, this sounds like it could be the perfect fit. However, your comments on flex have me worried. Would this ski be appropriate for a lightweight advancing intermediate (130-140lbs)? Thanks! I’d probably steer more towards other skis. Something like the Ranger 98 is more appropriate to lightweight intermediate skiers. The Enforcer 93 might be a good heavy option as well. Advice request: I’m on 177 cm 2015 Volkl Mantras now, out in Colorado, and ski most runs on the front side but have a special fondness for carving on edge. I like the Mantras in most conditions but am looking for something more playful, with more power coming out of turns, and with less of a tendency to chatter at speed. Even with the rocker the length feels a touch long, if anything, but then again I’m complaining about chatter. Would you recommend this ski given this, and furthermore would you go down to the 171 or up to the 180? Thanks. But they sort of sound and feel like cardboard planks! And I think a lot of chatter. They don’t feel smooth or graceful AT ALL compared to my (much older) Head Xenons (177cm) or Dynastar D’stinct+ (172cm) skis. I definitely did not feel as liquid and in-tune with these as I have with my older skis. I think my bindings (Tyrolia Attack 13) were mounted at manufacturer’s recommended points. Not sure if that had anything to do with my experience on these. As an owner of a 180cm Head Kore 93 with Marker Griffon binding mounted on recommended line I have to say I’m a little on the fence with my purchase as well. The super lite hype I don’t understand because I own skis bigger than this that feel just as light and similar sized skis that feel lighter. Yes they are lighter than metal layered skis but not others out there with carbon layup or other materials, good marketing though!! Lite and playful yes but not the super lite hype in my opinion. Cardboard planks? Funny! I wouldn’t say that but they are pretty stiff from tip to tail. I’m struggling with the lack of energy/rebound from the tail, I expected way more. I’m having a blast arcing from turn to turn but need more time to see if it’s just me or they really don’t load up like my other skis. I find them very playful, surfy, and easy to pivot In big moguls and off trail. Stiffness can sink the ski some in light deep snow versus trying to stay on tip despite the fairly wide shovel. I bought this to replace my Blizzard Bushwackers and my shorter Nordica fire arrow carvers to use as my narrower ski to have with my Soul 7 HD’s. I’m on the fence knowing if it was the right choice or not. Time will tell. What you describe is a pretty typical for lightweight skis in general, and is the reason why we don’t particularly advocate for their use when skiing at the resort. There are some benefits to lightweight skis, however, and some people are willing to sacrifice performance in other areas for those benefits. Binding selection is a somewhat complicated and personal matter and probably should be addressed in a different medium. The Blister Membership is ideally suited for this kind of personalized assistance, so perhaps that might suit you best? Otherwise, you can always write to us, regardless, and we’ll do our best, given the limited time that we have. What are your thoughts on the Kore 93 vs the Fischer Ranger 98 Ti for a carving or small amounts of new snow resort/touring set up? I’m torn between the two, and you seemed to give both such high marks. The Ranger 98 Ti is a pretty easy-going and forgiving ski. It also has more energy when carving. The Kore 93 is a bit more of a serious ski that works better for more advanced skiers. But, it’s also significantly lighter than the Ranger 98 Ti. So it kind of depends what you’re looking for in these regards. Also, I haven’t spent any time on the Kore 93 in powder, but I’d wager than the Ranger 98 Ti would perform noticeably better in deep snow. My two cents after owning a Head Kore 93 and skiing it all over the place for the last month. I’m still at odds with this Ski. It truly is a great all Mountain Ski and does everything great, just doesn’t accell at any particular thing. It has a very odd feel on firm groomers and I do miss energy out of the tail as I would have expected being so stiff of a Ski. But it is stiff from tip to tail so it’s a uniform stiffness. It is surfy, smeary, light swingweight, great in moguls, carves well, very fast skiing Ski, stable for how light it is but again a unique feel on firm snow. Deeper powder that stiffness plows more than surfs, hard to keep tips up but it’s swingweight and profile let’s you whip it around. I own a 2018 Soul 7 HD and if there is any amount of new snow on the ground I would prefer to Ski it instead. The head can sure rip up the mountain in fun fashion but is just missing something in the energy dept. It was supposed to be my firm snow Ski but I’m thinking I made a wrong choice. Great Ski but overlapping a touch into my other quiver of Skis. Maybe would choose a new Brahma, new kendo, maybe even a Enforcer 93, atomic vantage, something with a little more groomer dynamics and energy from the tail. It’s a fun carver for sure but again missing something. Sorry for the long post. Hey! So I bought my kore 93’s new this year and paired the 2018 tyrolia attack 13’s for a combined weight of 11.4 pounds in total (5.2 kg). So far I’ve gone out in a few different conditions including deep powder (2-3 ft), hard icy on piste, and spring-like warm slushy on piste. They’ve handled beautifully in all the condition and I can’t complain. I come from a racing background but always loved skiing trees and powder when I was younger. I went with the 170 cm length (I’m 170 cm in height, 80kg), and they’ve been amazing for my ability, which I would consider to be advanced. I’ve carved some super tight and fast turns with these skis, and have rocked some great pow! Only complaint so far is that the top sheet is super fragile in the sense that the edges have already started to get chipped and scratched up, and I’ve only been on the mountain 6 times (this might be due to my aggressive style of skiing XD). I’ve been skiing my K2 Pinnacle 95 188 cm for the last weekend in Austria in very different conditions both on piste and off piste. How would I have felt different, If I had ridden the “Head Kore 93” .? I’m 193 cm in height, weighing 93kg. I consider myself advanced !!! Totally different skis, as you know. The pinnacle 95 is much softer and has a ton of tip rocker length and tip splay: it’s actually really good in deep snow for a 95 underfoot ski because of that tip. It also has a deeper tail rocker. I cannot recall amount of camber. The Kore is much lighter by over 200g a ski (based on updated head weights for this ski). You would have found the Kore a better carving ski (it’s stiffer and has way more edge in contact with the snow) while the Pinnacle leans more to softer conditions and the pinnacle will feel much more damp (even though it is a ‘light’ ski in its own right). They are both all rounders that will excel at nothing (although again, the pinnacle 95 actually does excel in pow lederhosen probably more than any other 95 underfoot ski I can think of). I’d love to know how ‘lederhosen’ got in my comment. Can my iPhone read my mind? I’d been thinking about lederhosen all day but I did not type it. Wow. I just bought the KORE 93 as a caring skill and one that I can go through the day without fatigue, due to the weight, if I desire. I’m looking forward to skiing these lederhosen once they are waxed and ready. I e pict to add another quiver to push technical abilities but we will see. Thanks Brian for the great review, and the community for their good questions, answers & insights. BMan, please share your feedback after you ski them. Would love to know what you think. Enjoy & have fun! We just talked to Head about this, and they said that current production versions of the ski are coming in closer to 1780 grams for the 180 cm version. We’ll be getting on a production version of the ski this season and will update this review with any noteworthy conclusions after doing so. Ski patroller and lifelong ski-aholic here. Standing 6’1″ and ~160lbs, I ski reasonably fast and like to carve hard. For me a ski that can handle it all, that is durable, light, and predictable underfoot while being as solid (not chattery) as possible is a huge plus. I’m not racing and I don’t like to push myself beyond what I feel is sendable. For me the aesthetics of a nice, long, line at consistent speed is the thing of beauty worth pursuing. I plan to mount some atomic shift bindings to make this ski my sidecountry and backcountry go-to as I have a pair of beat-up Rossignol 88s that do the job of an everyday work ski fairly well. I’ve skied Volkl Gotamas and Kendos and loved both of them for an idea of what I like in a ski. I’ve gotten more into touring these past two years (I live near Mt. Shasta) and wonder if you would recommend the Head Kore 93 vs a ski like the Dynafit Beast for a second ski to compliment the Rossignol 88s? The Head Kore 93 and the Dynafit Beast 98 are quite a bit different in terms of mass. I suggest maybe focusing on what weight class you’d prefer, first? That said, we haven’t skied the Dynafit Beast 98 yet, so I can’t say for sure how it skis. Devin, I own the Dynafit Beast 98 with ST10 pin bindings as my touring setup for longer treks and/or deeper days in the alps. I am really happy with them, they are very balanced and stable downhil likes and even feel pretty steady on groomers. But I think it’s a very different ski from the Kore 93. I am also considering to add the Kore 93 mounted with Shift bindings, as a 50/50 piste/touring quiver of one for trips when I am limited to bringing just one ski. The Shift is a bit of a dilemma: to make it worthwhile we need a ski that is really strong downhill yet light enough for uphill. It cannot be too compromised in either dimension or one quicly loses the benefits of the Shift. In fact, Kore and Shift seem such a perfect match that it is almost surprising that Salomon/Atomic did not develop a ski like the Kore. @Brian, I would be interested in your view, whether there are any other 50/50 ski’s equally well matched to the Shift binding? More practically, I don’t get the impression that the Kore 93 ski’s short so I am leaning to get the 171cm. My stats: 5’7, 70kg, 50yo, slalom racer and advanced backcountry skier. I’m an older (73) skier, was at one time advanced, maybe expert taking turns down bump runs like the West Face and the Headwall at Squaw. I can still ski ’em, but slowly, and I’m only good for a couple of three runs in early afternoon. (My legs get a bit fried.) The rest of the time I move around the mountain, some groomers, some not so steep. So, at 172 cm, 80 kg do I want the Kore 93, or the Nordica Enforcer, and at what length. I’m thinking shorter is better. I have the Kore 105 in 189 and love them. I also ski the volkl kendo in 177 and have the Head Montster 88 in 177. I find the monster seems to ski just a tad short and the 177 kendo is perfect. I did have a few pairs of 184 kendos also then sized down and did not loose anything. Should I have the kore 93 in 180 or 189. I started with the kore 105 in 180 and they were good but the 189 is way better in pow and chop. It is my big ski now, moving down from 117 super 7. Im still kind of looking for a skinthat can complete my quiver (today only consist of 190 2011 Bibbys) The ski I need should be as easy to handle as the Bibby but also able to go as fast as the Bibby but I also need a ski that tours decent and does not vibrate too much when doing tight slalom turns on hard groomers (the bibbys will massage your feet a lot…). I have tried the Peacemaker 186 now but I would consider them a bit heavy for touring and they feel much too short for me. Could the Kore93 189 maybe do the trick? How would the Kore 93 be mounted tele? I had my first day on my new kore 93’s (180) and couldn’t be happier. I have skied the 105 as a demo previously and was not as impressed- the 105 didn’t feel as lively. I am replacing a 2015 mantra with these. I’m 165 lb, 5’11” and have skied agressively for decades in the PNW. Compared to my Mantras (184) and my AX4’s (188) the Kore is very lively and fun. Skied on Powderbowl (Crystal Mountain) in windpacked/variable snow conditions at high speed: The Mantras and other metal skies are a bit more predictable, the Kores flex a bit more when challenged, so the sweetspot gets smaller- they are a bit less forgiving, but hitting the sweetspot rewards with a super lively feel. I had the traditional mount and found it to be great, although I still got over the tips once in a while due to flex in hard driving turns. After a full day, I might have gone with the 188’s since the skis are so light and very easy to toss around. They seem to float as well as the 2015 Mantra – the air temp was 37 mid day and I didn’t have any trouble keeping on top of flat runout areas where I needed to keep my speed up on several inches (maybe 8″) of powder. I’m really torn. It’s vetween a 93 enforcer or 93 kore for me. I’m advanced skier who likes going fast on piste and then popping off and messing around off piste. I’m 5 feet 11 and 73kgs. Just about to move to morzine in France so want one ski that I can use in most conditions and in different areas. It seems that the 99 doesn’t sacrifice much in terms of on-piste performance while gains in softer snow and powder. Has anybody skied both? Also, can anybody recommend a boot for such a set-up? The trade off between the Kore and the Enforcer is how light vs how stable. At high speeds the Enforcer will be more stable, but it’s also harder to vary the turn radius on the enforcer if you ski on the edges w/o buttering turns. The Kore is super light, so very easy to wip around in the air. As a heavier skiier (240lbs) will the Kore be able to handle my weight? Just FYI, I’m not worried about setting any speed records as I value quicker turns and maneuverability but I also don’t want for the ski to feel really soft at moderate speeds either. Planning to demo but also don’t want to waste my time if you think I’m totally off by thinking this would be a good fit for me. The Kore 93 isn’t a super stiff ski, but it still has a pretty stout flex. Curtis mentions (below) that it isn’t a two-layer titanal ski, but don’t let that dissuade you. That said, the Kore 93 is quite light, so keep that in mind as well – if you tend to prefer heavier skis. To clarify, if you care about the flex pattern, I suggest you focus on the Flex Pattern section that we have on all recent (and future) ski reviews and use understand how stiff or soft a ski is (and in comparison to other skis). If you are an advanced/expert skier you may find them a little soft as a heavier skier. Certainly not like a two layer titanal ski. I think they are a good comparison if you can demo both. So Got a pair Kore 99 love them! however skiing east coast almost 100% of the time. im thinking of getting a pair of 93’s for those hard pack days in the east. any thoughts? Im 6’3 225lbs and do majority of my skiing on piste in the Swiss / French alps. After 5 years of intermediate / advanced-intermediate carving ski I’ve been looking to move up to a wider, more stable-at-speed, all-mountain ski that is still mainly for on-piste use, but want the option to start moving toward off-piste as my level has improved greatly since I last purchased skis. I recently rented the Volkl RTM 86s 186cm and really enjoyed the stability, medium to long carving and chatter free ride. However, while my size/weight means I can handle stiffer and hard charging skis without too much trouble, I am not necessarily a super aggressive skier 100% of the time. I’m therefore looking for something similar but with a bit more off-piste versatility and playfulness, but which doesn’t sacrifice too much on my love of carving and desire for a stable, chatter free ride. Im not sure if I am asking for too much from 1 ski but I have been recommended the Kore 93s by a few people and your opinion would be super helpful! 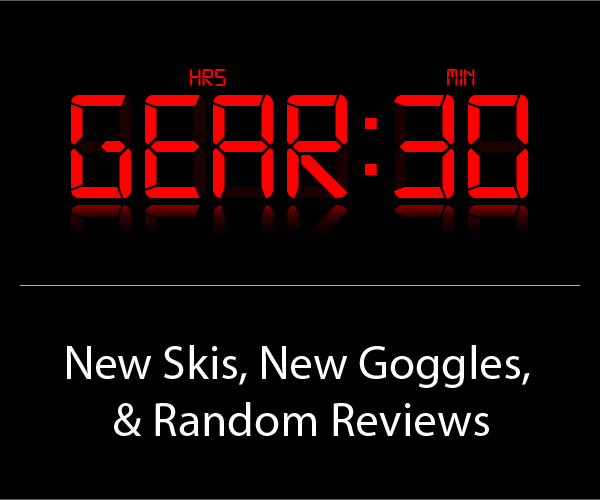 If not the Kore 93s, what other skis would you recommend for what Im looking for?